When it comes to Japanese pop art, there are several main sources of inspiration. Manga and Anime are the primary two and have dominated the Japanese pop art scene, forming its own traditions that western fans and hobbyists would follow. Another medium that’s popular with fans of Japanese pop art is video games. And then there’s a 4th medium, one that’s slowly gaining traction in the west. Those are light novels. If anime is the evolution from western cartoons, and manga evolved from the old western comics, then light novels evolved from the pulp fiction magazines that were in circulation before the 1950s and made their way into Japan sometime after the last war. The Asahi Sonorama, a division of the Asahi Shimbun that deals with other publication not related to the newspaper, printed what the Japanese would call the grandfather of modern Light Novels, the Sonorama Bunko, in 1975. The modern light novel evolved from the Sonorama Bunko as much as paperback evolved from pulp magazines, following the same format as paperback books. Kadokawa Shoten was the first to publish books in paperback format in 1975 and became successful with it, setting the trend that would be followed by every light novel publishing company since. Most light novels are short, about 300 pages paperbacks. Some series do go over beyond the average 300 pages, such as Horizon in the Middle of Nowhere, though they are still in paperback format. Light Novels became such a hit to the Japanese public, and its first success was seen in the 1980s with the series The Heroic Legend of Arslan and Record of Lodoss War. Most light novels are fantasy stories, though eventually, other genres have made their way into Light Novel format. Despite the success, the business model used for light novels still kept that “disposable literature” attribute in mind, even today. Literature won’t be without the authors and the same can be said about light novels, disposable they may be. 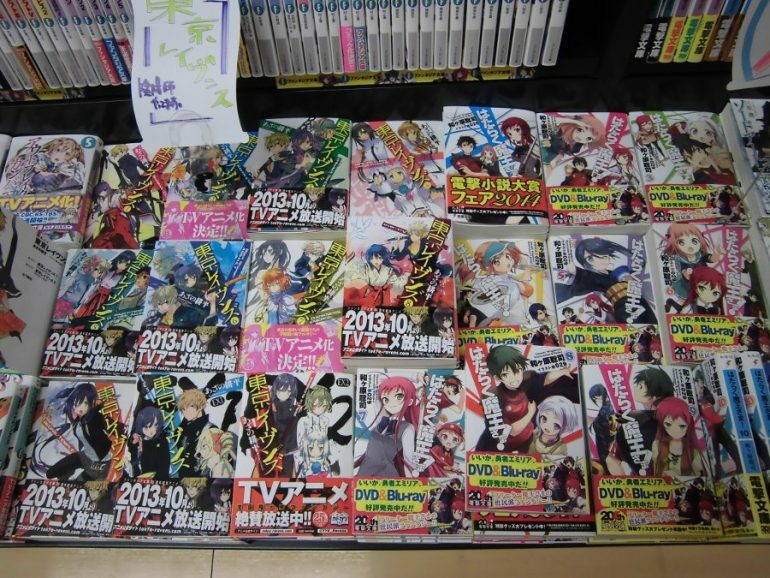 Because light novels are made that way, publishers must churn out lots of different series to keep the public reading. This makes the writers’ lives very stressful and would sometimes result in the health of authors being ignored, which can result in death, such as the case with the authors of Stigma of the Wind and The Familiar of Zero. This makes the authors themselves “disposable” unless their work wins the heart of the masses. People are discouraged to dive into light novels when they’re a new fan of anime or manga. Light novels are a far cry from what a proper novel is, and of course, they are not perfect. Many fans will tell you that you shouldn’t really look to light novels if you want an award-winning piece of literature. They also contain anime-style art, which alienates most older people. And because they’re targeted to late teenagers and young adults, they usually have this childish or “edgy” titles to them that many people find “pretentious” or “trying hard”, depending on the author’s naming sense. Most of the ridiculous titles have turned into jokes and memes well-known by their fans. A final point of criticism to light novels is that they usually follow popular trends. When the popularity of the Isekai genre (where stories are mostly about the main characters dying or disappearing on Earth and reincarnated in another world, or vice versa, with all their memories of their past life intact) exploded, all publishing companies have several authors writing a book of that genre. After all, despite being disposable, they have to be profitable at the same time. Still, even with its faults, a lot of people are still attracted to it, especially the Japanese. And it’s because if this popularity that light novels are a booming business. If you can suspend your disbelief for a full day, you may try out the more popular ones to see if it is to your taste. If you like even just one of them, only then will the fans recommend you more.